This chapter accentuates various Relationship Marketing (RM) perspectives of grown organizations, with a focus on Stakeholder Causal Scope (SCS) to realize how RM has been facilitating organizational growth. Nineteen RM indicators and four broad growth strategies are evolved from a multi-case study of five grown sports organizations, where the organizations have been utilizing these RM indicators through market offerings (products and services). The analysed market offerings are proportionate with at least one of the growth strategies, and centred on broadening profound SCS, where all involved stakeholders have the contributory scope, while they work interdependently towards mutually beneficial diverse goals. Therefore, the joint effort of the grown organizations and their commercial partners, and the subsequent RM indicators and SCS-centred market offerings sustain their growth. A SCS-centred RM model to enable organizational growth has been developed from the synthesis. The RM model emerges as viable across industries and markets. Relationship Marketing (RM) has become the fundamental concept of contemporary marketing practices. This chapter attempts to emphasize some key RM perspectives, which are standardized as RM indicators in a series of grown sports organizations’ marketing practices, with a focus on Stakeholder Causal Scope (SCS) to recognize how RM has been facilitating organizational growth. SCS is defined as a “possibility of contributing mutually beneficial value among the key stakeholders or value network” (Shams, 2011, p. 13; Gide & Shams, 2011a, p. 1063) or cause and consequence of stakeholder relationships and interactions under a contract in the completion of a project (Business Dictionary, 2010a). 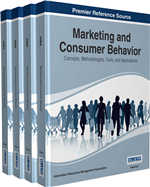 Examples are illustrated in the Relationship Marketing Indicator, Stakeholder Causal Scope, and Growth Strategy section of this chapter. 19 RM indicators and 4 broad growth strategies are discussed from the synthesis of a multi-case study research on 5 grown sports organizations. The synthesis demonstrate that the organizations have been utilizing these RM indicators by offering RM indicator focused market offerings (products and services) in association with various stakeholders of their value network. Such market offerings facilitate win-win outcomes for all involved stakeholders, as well as assist to implement at least one of the growth strategies. Therefore, the aim of the study is to realize the implications of the RM indicators to proffer SCS centred market offerings in association with various involved stakeholders in order to attain and retain organizational growth. The foremost criterion of eligible case for this study is the sports organization that is experiencing rational growth in recent years. The study utilizes the documents and/or contents review in depth, along with its subcategories such as archival records, audio-visual materials as data collection method for the content analysis of the websites and other publications (annual report, promotional material, media reports, and so forth) of the selected cases. The case analysis and synthesis approach has been adapted from the guidelines of Hartley (1994, 2004), Dey (1995), Stake (1995, 2000, 2003), Creswell (1998), Gomm, Hammersley, and Foster (2001), Gomm (2006), Stavros (2005), and Yin (2003, 2009). For this, the relevant issues, concepts, and variables (SCS and RM indicator-centred market offerings/products and services) identified from the cases have been analysed through insight, intuition, and impression for comprehending whether the identified issues, concepts and variables are pertinent to the major areas of inquiry (relevancy with the four broad growth strategies) by direct interpretation and or naturalistic generalization. The findings illustrate that the products and services, offered by the grown organizations are also proportionate with at least one of the identified growth strategies, and centred on broadening lucrative SCS, where all involved stakeholders have the contributory scope, while they work interdependently towards mutually beneficial goals. Therefore, the joint effort of the grown organizations and their commercial partners, and the subsequent RM indicator and SCS centred market offerings smooth the progress of attaining and retaining organizational growth for them. A SCS centred RM model to enable organizational growth has been developed from the synthesis. Furthermore, the lesson of facilitating organizational growth learnt from the sports industry can be applicable to any industry and market. Since the whole process is RM centred, and RM can be applied to all types of organizations and offerings, however the relationship portfolio and the application are always specific to a given situation (Gummesson, 2002).